The Edo Period of history saw Japan isolated from much of the rest of the world. Contact with Europeans was severely limited to a small Dutch enclave in Nagasaki called Dejima. However this changed dramatically with the Meiji Restoration in the later years of the 19th century. With the opening of Japan to foreign trade, an influx of Western ideas and culture entered Japan, and a similar export of Japanese art and culture began it's exodus to Europe and America. 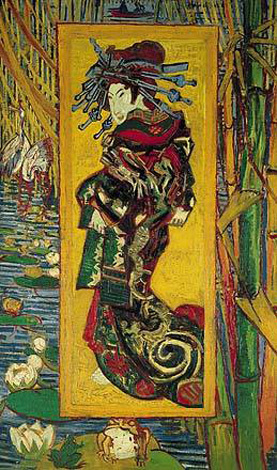 The influence that this exposure had upon the West came to be known as Japonism. Much of the Japanese art which found it's way across the seas to Europe and America was of the ukiyo-e. At first this consisted mainly of prints produced by the artists of the time, but as Western appreciation for the art form increased, the work of the Edo Period masters became increasingly sought after by collectors. To western observers the work of the Edo Period epitomized the Japanese tradition, unlike modern prints which were already showing the influence of Western art. 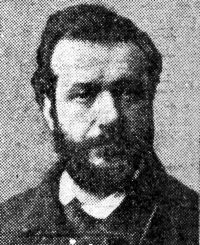 The man who can be seen as the first true champion of Japonism was the French impressionist painter and etcher F�lix Bracquemond (1833-1914) shown on the right. Around 1856 Bracquemond discovered a set of Hokusai's manga sketches in Paris and was soon extolling their virtues to his circle of friends and acquaintances. Through his efforts artists such as Manet, Pierre Bonnard, Henri de Toulouse-Lautrec, Mary Cassatt, Degas, Renoir, James McNeill Whistler, Monet, van Gogh, Camille Pissarro, Paul Gaugin, Aubrey Beardsley and Klimt were all influenced by Japanese art. Ukiyo-e with it's lack of perspective, clean lines and flat areas of colour influenced many Western artists. 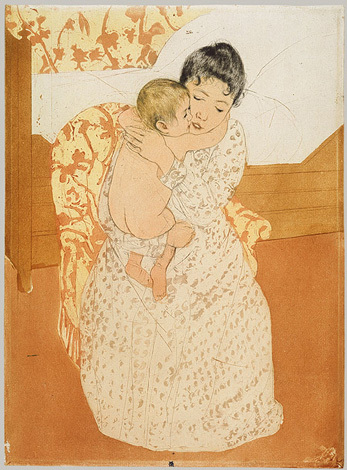 Impressionism, Art Nouveau and Modernism all drew inspiration from traditional Japanese art. The work of artists such as Hokusai and Utamaro were to have a profound and lasting affect upon Western art. 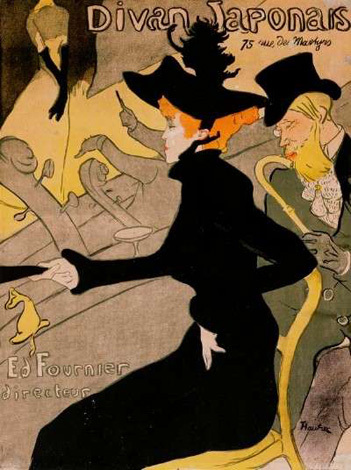 Notes: Toulouse-Lautrec's appreciation for Japanese prints can clearly be seen in his famous images of the Parisian nightlife. Flat areas of colour and asymmetrical compositions featured strongly in his work. Notes: van Gogh produced 'copies' of works by Hiroshige and Kesai Eisen. Notes: Like many European artists of the time, Degas was influenced by Hokusai'a manga sketches in which he studied the movement of the human form.